Today I am delighted to welcome Gill Moore from the Friends of North Kent Marshes – a local campaign group – to talk about why the Nature Directives are so important to her local community, and the special places they love. 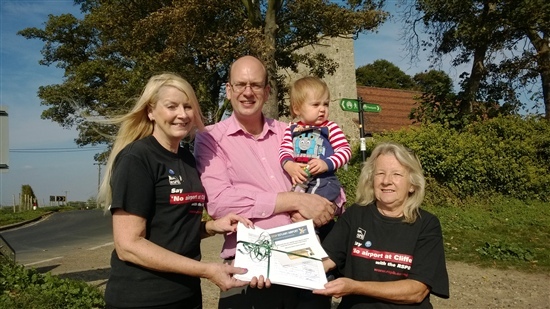 Gill is pictured below (on the right) with former MP Mark Reckless and another of the driving forces behind FONKM, Joan Darwell. Together with George Crozer, Gill and Joan have formed a formidable team. The Greater Thames Estuary is protected under local, national and international law – with the Nature Directives being the strongest laws of all. It is a spectacular wetland of global importance, extremely rich in wildlife. There are tens of thousands of birds that live here, as well as hundreds of thousands of overwintering and migratory birds that travel here annually along the East Atlantic flyway from as far away as the Arctic in the North and Africa in the South. Set in a landscape that inspired Charles Dickens to write the opening scene of his novel ‘Great Expectations’ is RSPB Cliffe Pools. The reserve contains 10% of the UK’s saline lagoons, a very rare habitat, where you can watch huge flocks of thousands of birds such as dunlin and black-tailed godwits as they wheel in the skies. The grasslands are great places to watch marsh harriers, merlins, peregrines and owls hunting. In spring you can listen to the song of the nightingale and the call of the cuckoo. These protected habitats are vitally important for lots of other wildlife too, such as harbour porpoise, harbour seals, grey seals, bottlenose dolphins, sea horses, rare bumblebees, the scarce emerald damsel fly and the water vole. We are passionate about the wild places on our doorstep, and determined that they will be protected for future generations. 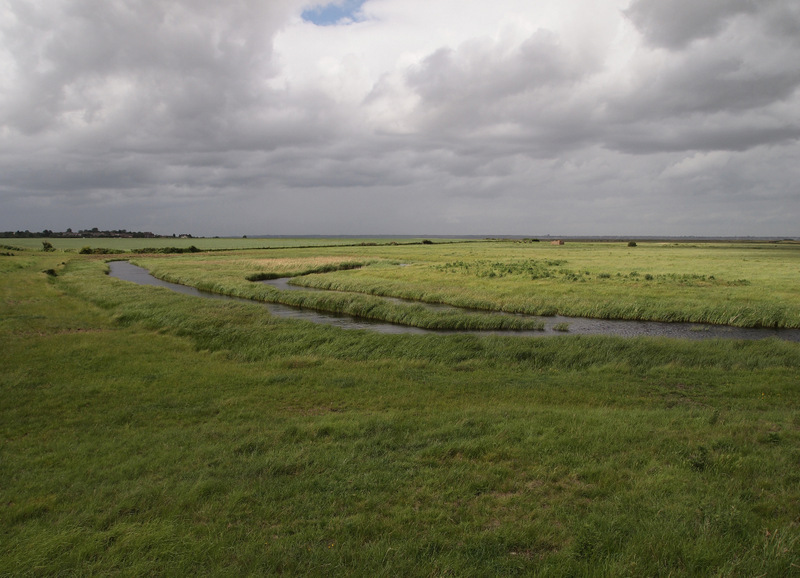 For the North Kent Marshes, and for many other internationally important wildlife sites across Europe, that protection is delivered by the Directives. We are keenly aware of the strength of the EU Nature Directives and why that strength must be upheld, because we have witnessed first-hand their ability to protect the wildlife and habitats we hold dear. These laws were instrumental in stopping an airport at Cliffe in 2003 and, more recently, in September 2014, when the UK Airports Commission ruled out building an airport anywhere in the Greater Thames Estuary or on the Hoo Peninsula. We were appalled when EU President Juncker said the Nature Directives were old and must be “overhauled and modernised”, because alongside many experts we felt this would simply lead to them being weakened. The fact is that the Nature Directives form the very foundation of modern nature conservation, and politicians should not be trying to weaken them. Instead, they should be celebrating what they have achieved, and focussing on what they can achieve in the future. Any weakening of these laws could put our most important wildlife sites in the Thames, Medway and Swale estuaries in peril. 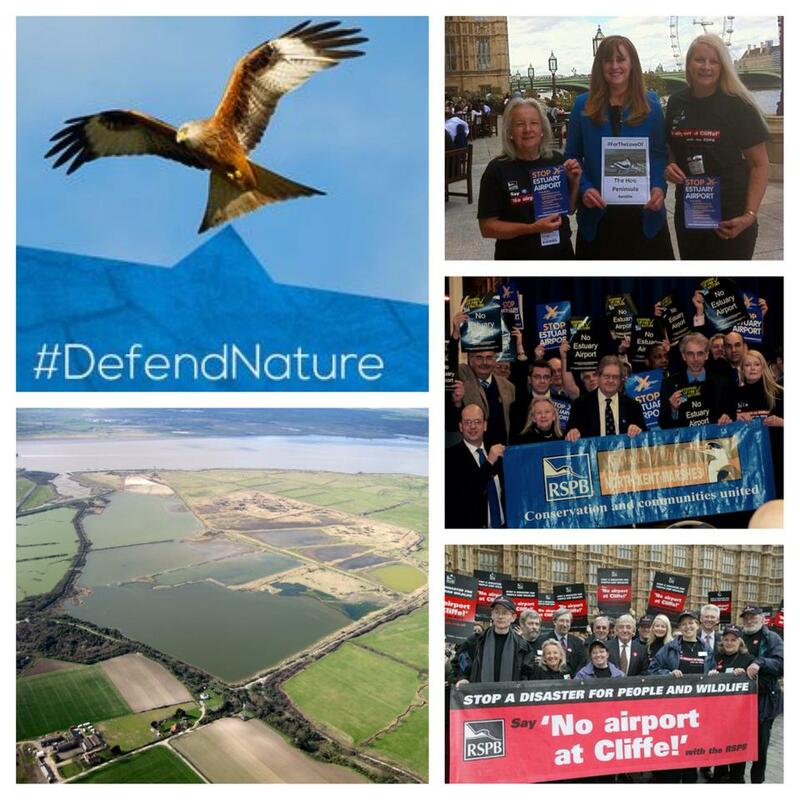 The Nature Directives are in place to protect our world class natural heritage and we must not sit idly by and allow this protection to be eroded. If it were it would be an ecological catastrophe! We urge everyone to respond to this important consultation to show massive support for these nature laws. It is imperative that we do this now, because without strong laws to protect it – your nature, our nature, our children’s nature, could all be gone in the blink of an eye. A mini influx of black-winged stilts has brought a touch of the Mediterranean to southern England, as two pairs of these exotic-looking wading birds are attempting to nest at RSPB sites in West Sussex and Kent. It is thought that a dry spell in southern Spain has displaced these wetland birds to southern Britain. And it is believed that a changing climate may bring these birds to Britain more regularly in future. The only times black-winged stilts have bred successfully in the UK was in Norfolk in 1987 and Nottinghamshire in 1945. One pair is nesting on the RSPB’s newest reserve in West Sussex, Medmerry, the other pair at the RSPB reserve at Cliffe Pools on the north Kent marshes. “This is really exciting news and the first time we have had black-winged stilts breeding on the reserve here at Cliffe Pools,” said Warden Andy Daw. “They have visited before and a pair was seen about seven years ago on the reserve but they did not produce any young. With 300,000 birds visiting every year we know the Thames is amazing, but we are concerned that the Airports Commission haven’t yet had the chance to really understand how special it is. With all this focus on the Estuary as an airport location, it would be easy to lose sight of the Greater Thames as a place that’s home to six million people. A place that has been at the heart of our country’s economy for centuries, as a base for commercial shipping, intensive farming, heavy industry, power generation but yet is still one of the most important places for nature in the UK. And a place that we want future generations to be able to enjoy too. The Commission is currently examining all the technical evidence for and against an airport in the Estuary and they will be consulting on their conclusions later in the summer. But until then, please help us remind them of what is at stake. 5 Inner Thames Estuary Airport Options Are Still on the Table! Kent Wildlife Trust is vigorously opposed to any proposals to build an airport in or near the Thames Estuary. It was a great pleasure for us to spend time with author Julian Hoffman when he came to visit us here on the Hoo Peninsula ~ Ours IS the marsh country down by the river and we will fight with the utmost vigour to protect it ~ No Thames estuary airport ever! Saving special places Great Expectations and profound concerns.